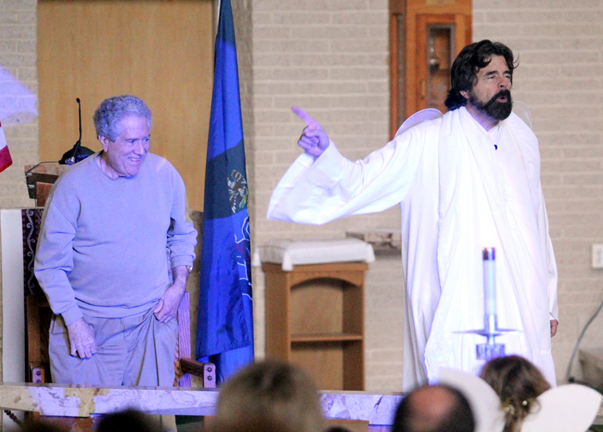 Frank Runyeon takes a dramatic turn in the play. 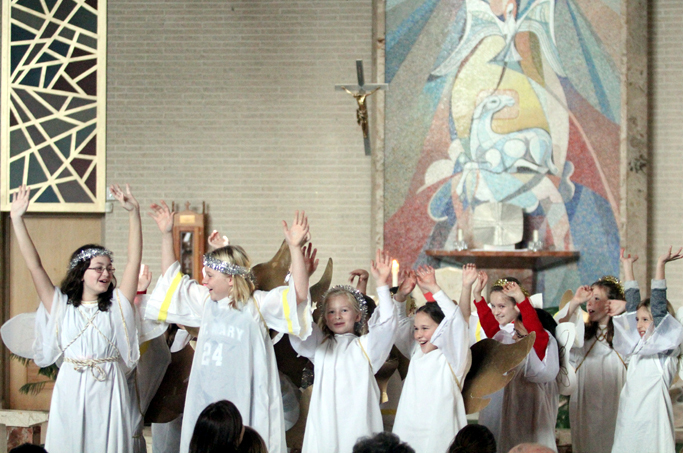 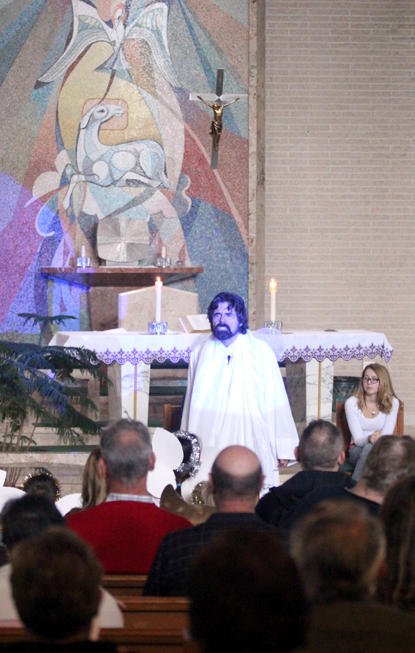 Parishioners are drawn into the act as the angel’s helpers. 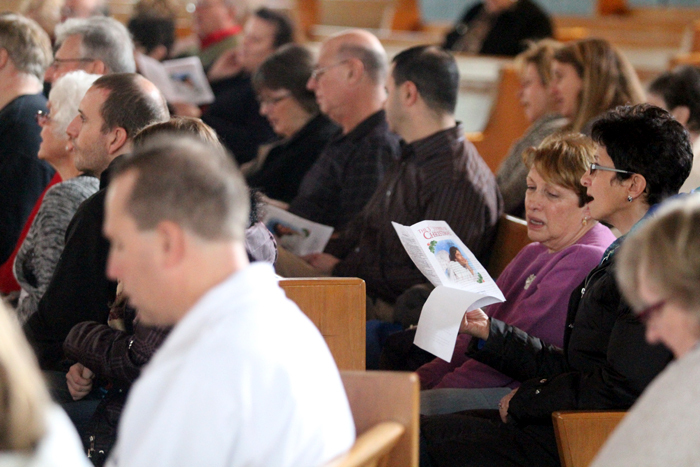 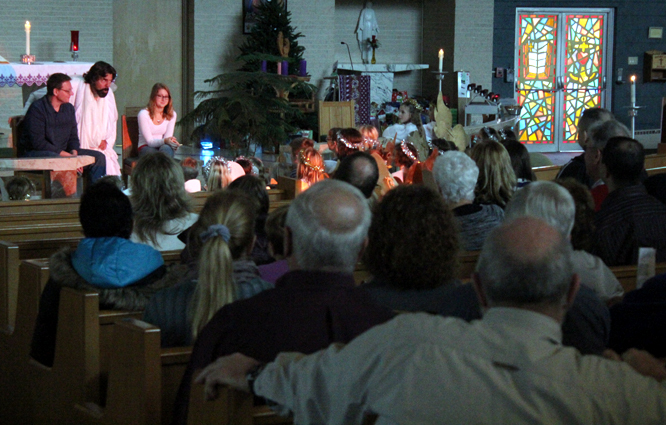 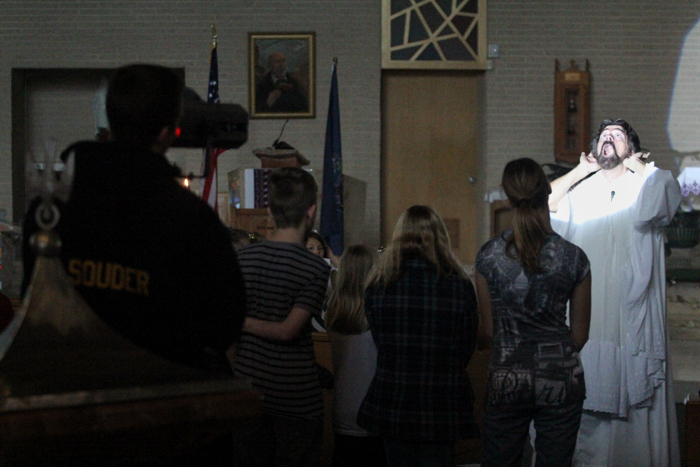 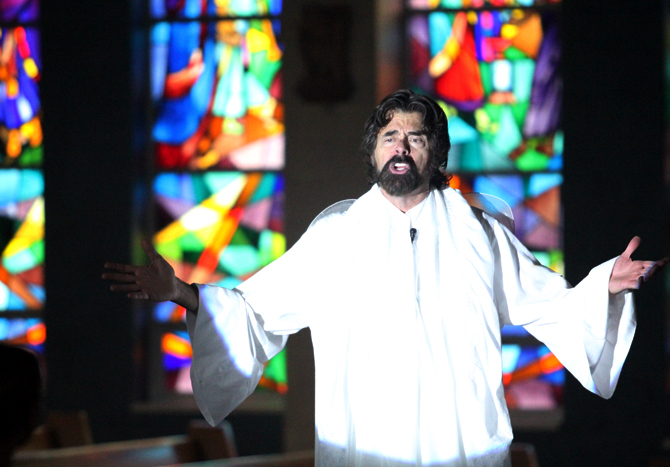 Parishioners of St. Philip Neri, Pennsburg, sing along to a Christmas carol. 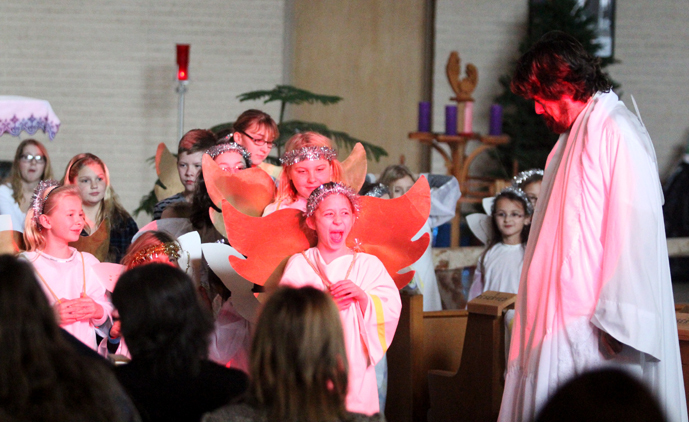 The littlest angels take their lead from one big angel with small wings.